Almost summer. 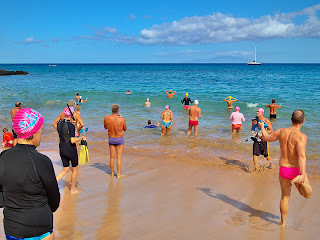 We still found ourselves slowly working our way into the ocean this morning, but the water is definitely warmer. We also found ourselves playing a lot more now that we no longer needed to keep moving to prevent ourselves from freezing to death. Click HERE for more photographs from today's swim.